Summer Growth. Summer Job. Summer Fun. The Mountain Project will provide opportunities to deepen your relationship with Jesus Christ in small groups and project-wide meetings. These opportunities are designed to help you learn how to better study the Bible, memorize God’s Word, pray, interact with others, and build Christ-like character. Deep and lasting friendships are built in the course of living together, working together, and studying the Bible and praying together. These relationships allow students to be a part of and witness one another's growth over the course of the summer, as well as serve the students in their continued growth back on their respective campuses. We also attend and serve First Baptist Church in Pigeon Forge. During the weekdays participants on the Mountain Project will work a job. Working will allow you to build relationships, gain work experience, and provide the finances for you to attend the Mountain Project. Having a summer job is one of the primary interests of most college students. Getting the funds to pay for school and other costs is crucial. At the Mountain Project, we make work one of the primary components of the summer. Historically, we have worked with local business to provide jobs for all Mountain Project participants. Dollywood and Campus Outreach have been partnering together since 2006. Typically Dollywood is the primary business partner of ours where we have found jobs for our students. We enjoy the privilege of having our students work alongside Dollywood's incredible management & other great employees. There will be an application process that each student will have to go through. Although most students will be able to work at Dollywood, we are not able to fully guarantee that everyone will have a job there. Dollywood reserves the right to decline any potential employee. If you aren't able to work with Dollywood, we are committed to helping you find a job in the Pigeon Forge area. It is federal law that you must show your Social Security card in order to secure a job. Please bring this card! Set in the beautiful Smoky Mountains, Mountain Project offers all the enjoyment of the natural beauty of Pigeon Forge and Gatlinburg in addition to the entertainment of Dollywood, Splash Country, the Old Mill area, and everything else on the central Parkway of Pigeon Forge. Socials and group outings are all a part of the summer plan, and each week will involve different activities and opportunities that will allow you to explore Pigeon Forge, the surrounding area, and all the excitement that they offer. People come from all across the country to spend weekends and vacations in this pocket of East Tennessee, and MP students have the privilege of living there all summer and discovering the main attractions as well as the hidden gems! Living right next door to your fellow MP attendees consistently fosters an environment of creativity and fun, and each summer students develop their own patterns and occasions for different kinds of enjoyment. The lasting friendships that are forged in small groups and at work are only strengthened by the memories that are created during free time on the project. Who knows what kind of adventures you could have if you join us this summer? $1700 -- This covers the expenses of rent, 3 meals per week, and project materials for the summer. It does not include other meals throughout the week and fuel costs. Each student will have a job in Pigeon Forge to help cover the costs of the summer. Depending on the job, you will use about 80% of the money you earn to cover the total expenses. Payment can be made in full on the first day of the Project, or in weekly installments over the course of the summer. You may also raise money to cover the cost of the project. The particulars on how to raise money will be provided to you once you have been accepted. There will be a training on how to raise support in April. Approximately 60 college students from Tennessee Tech, The University of Tennessee, and other Tennessee colleges. 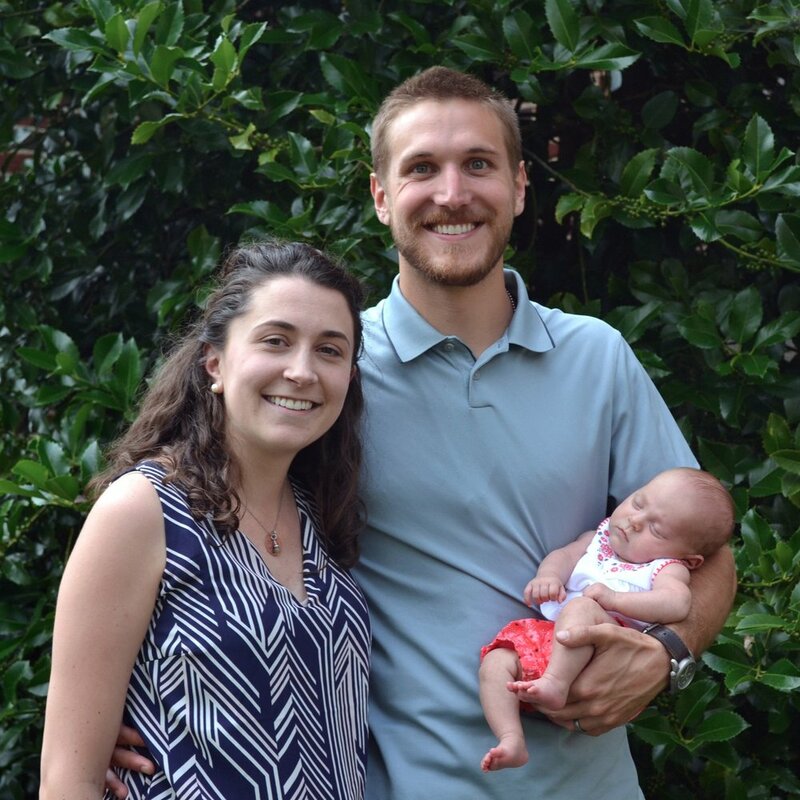 Caleb and Hannah met while attending Tennessee Tech University and came on staff in 2015. They have continued to serve at TTU and are excited to part of leading Mountain Project this summer.